You may wonder who would purchase a home that already has termite damage? Some think it’s not that bad of an idea. To understand why, you will have to take into account that 15% of US homes already have termite damage. Of the $3-4 billion spent each year on termites, only a small portion is put towards termite prevention. So chances are, if the home has termite damage, and has been treated, then it’s also most likely going to be protected from future termites. Termites are present in every US state – except for Alaska. So if you live in the US you will eventually encounter termites. A house with termite damage may come at a lower price than a house with an unknown termite damage. That termite damage might be undocumented, so you would have no clue. At least, if termite damage is disclosed, you know what the hime has been through. Maybe you’ve found the perfect location, best neighborhood, best schools and the price is right. You want to buy! And maybe, you’re already planning on doing renovations anyway, and can repair any termite damage when you do. To move forward, have a new termite inspection done. Once the results are available, sit down with the homeowner to negotiate your terms. They will be responsible for paying for the treatment if there is evidence of termite activity. Most termite treatments come with a termite bond good for 3 years or more. 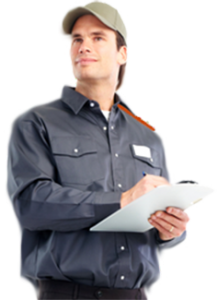 You’ll need to keep up with the yearly inspections. Finally, decide on the termite control you will implement moving forward. The inspector will be able to advise you on what will work best for your home and for the type of termite. The species of termite will determine what control methods will be used.